Jesuit education has been a driving force in my life before I can even remember. As the son of a graduate from the College of the Holy Cross, who was the youngest of four brothers who all graduated from Holy Cross as well, I grew up hearing about the importance of being “a man for others”. After I graduated from Holy Cross myself, I started learning about a fledgling all-scholarship Jesuit middle school in Worcester that was serving the most at risk populations in my hometown, and I knew I had to be a part of it. Since 2011, I have been blessed to work in a school that lives its mission on a daily basis. I am surrounded by capable and talented teachers, volunteers, and donors, who have all helped us to provide more than 220 young men and their families the promise of better life and a better future through the path of education. For a boy from a low-income home, finding success in the classroom can be a daunting proposition. Nationwide, 5th grade boys from low-income families are three grade levels behind their peers in affluent communities. Only 22% of young African American men and 15% of young Latino men have obtained a bachelor’s degree or higher. In 2013, the Robert Wood Johnson Foundation reported that young men of color have far worse health outcomes than their white peers and are more likely to experience chronic exposure to trauma, which affects adolescent development, and can lead to behavior problems and poor academic performance. In 2013, the Pew Research Center found the median wealth of white American households is nearly 13 times that of African-American households and 10 times greater than Latino households. In a report by Demos Think Tank, African-American and Latino two-parent households had half the wealth ($16,000 and $18,800 respectively) of a single-parent white family ($35,800) in 2013. Two-parent white families had a median wealth of $161,300. In Massachusetts in 2016, 79% of African-American males and 73% of Latino males graduated from high school in four years. In the City of Worcester, nearly three out of every ten students from low-income homes will not graduate in four years from Worcester Public Schools. Additionally, 6.3% of students from low-income homes dropped out before graduating. In the City of Worcester just over 29% of the population over the age of 25 has a college degree. In 2015, Worcester’s poverty rate was nearly double that of the Commonwealth of Massachusetts. 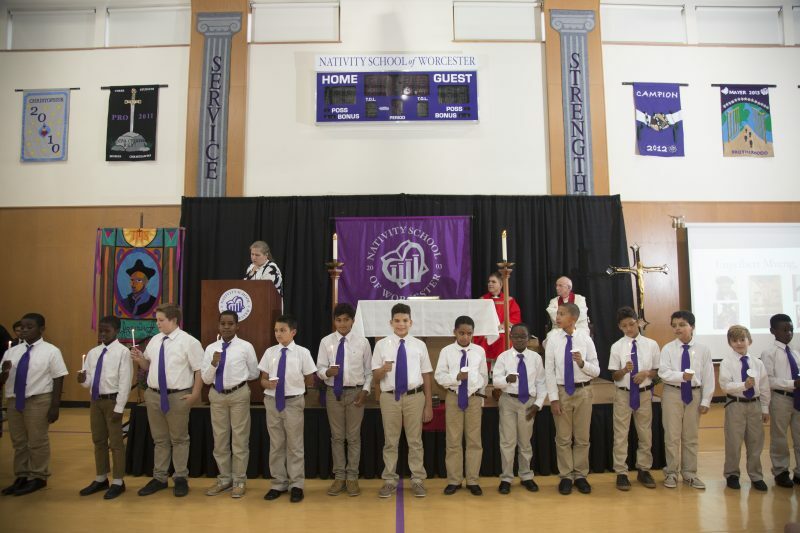 In the face of these statistics, Nativity School of Worcester – an accredited, all-scholarship, independent, Jesuit middle school (grades 5-8) for underserved boys of all faiths– provides hope and a proven track-record of accomplishments. With 100% of our admitted students coming from families at or below the federal poverty line (2016-2017 incoming class come from families with an average size of four and an income of just over $27,000) – and the vast majority of admitted students not performing at grade level – Nativity Worcester has offers a high quality education and, most importantly, hope. Animated by the Jesuit ethos and philosophy of education, Nativity Worcester offers a structured and personalized learning environment. 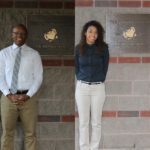 It includes an 11-hour extended school day, extended school year with a mandatory summer session for all students, and a student to adult ratio of 3:1. Additionally, Nativity Worcester offers graduates crucial support following their 8th grade graduation, including academic tutoring, advocacy during parent-teacher meetings, and tuition assistance to ensure they persist on their secondary and post-secondary educational journey. 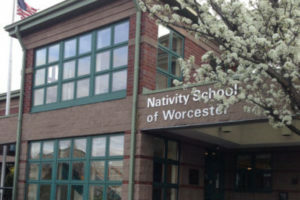 Nativity School of Worcester has graduated 157 students from twelve classes. One-hundred percent (100%) of Nativity Worcester’s graduates who applied to private high schools, were accepted into and received sufficient financial aid to attend. One-hundred percent (100%) of Nativity Worcester’s high school aged graduates are enrolled in high school or a specialized high school program. Ninety-five percent (95%) of Nativity Worcester’s graduates have graduated from high school or a specialized high school program (compared to the national high school graduation average of 75% for male students from low-income homes). One-hundred percent (100%) of Nativity Worcester’s graduates who applied to a 4-year college or university or specialized post-high school program, were accepted. Four (4) Nativity Worcester graduates have attained a graduate degree or are in the process of attaining one. Seventy-eight percent (78%) of Nativity Worcester graduates are first generation college students. 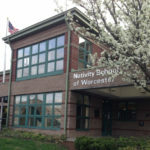 Forty-eight percent (48%) of Nativity Worcester graduates who attended a 4-year college or university graduated in 4 years with their bachelor’s degree (compared to the national 6-year college graduation with bachelor’s degree average of 10% for first generation college students from low income families). Nativity School of Worcester received the 2012 New England Regional Assembly Recognition Award from The College Board. This award recognizes a program that has shown outstanding commitment to students and the field of education by enabling underrepresented students with academic and leadership potential to attend college. Put simply, our middle school boys – and graduates – reside within the most at-risk neighborhoods in Worcester. 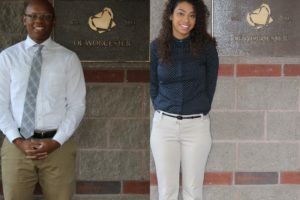 They aspire to attain a college degree and a financially stable future because of their Nativity Worcester experience. As a tuition-free school – that is not provided with operational funding from state or local government, the Diocese of Worcester, or the College of the Holy Cross – we have to aggressively fundraise to meet the entire cost of a student’s education. Our per-pupil-expenditure for fiscal year 2017 was $16,857—for an 11-month school year, 11-hour school day. Worcester Public Schools spent $14,492 per-pupil for their day programs during fiscal year 2016 for a six-hour school day and 180-day school year. As a result, we rely on the support of individuals, corporations and charitable foundations to meet this need—and generous people like you. I invite you to review the material included in this packet and discover how you might support this school which significantly impacts, and forever change the lives of, our students, graduates, and our families. Thank you for your consideration and for taking the time to learn more about our community.